Would it surprise you to know that most small businesses still consider the bank to be the first port of call when looking for a loan? There are more options out there; it is just a question of where to look. While the banks have many great programs for small business looking for a loan, there may be reasons why a bank loan is simply not available, such as length of time in business to problems with credit. Many small businesses consider a personal loan, tapping out business or personal credit cards, or looking to family members before they look at any other form of financing. This documentation may be easily accessible, but again, some small businesses simply cannot provide everything that is required. Some of the figures may even prohibit a loan from the SBA, or the small business may just be in a hurry, and wonder where else they can turn to obtain financing. What is a viable alternative funding source? While alternative financing can be perceived as an expensive option, that’s not always the case and, at worse, it is better than no option at all! Alternative commercial financing such as invoice factoring, where outstanding account receivables are used in return for immediate working capital, can be an extremely valuable resource for fast and simple capital infusions. 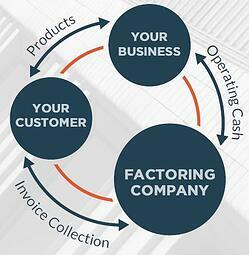 Your business delivers goods or services to your customer; the factoring company collects on the invoices, and provides you with operating cash. This form of financing helps business growth, or simply helps provide a small business owner through a cash flow crisis with a much needed cash flow injection. The process is simple, and Bay View Funding provides an easy to understand guide to help you through the steps. Invoice factoring simply works for small businesses with healthy accounts receivable that may not qualify for more traditional forms of financing.